BARKA Six students of the Department of Applied Geosciences (AGEO) at GUtech participated in the International Course on Carbonate Microfacies 2017 at the Geocenter of the University of Erlangen-Nürnberg (Germany) recently. Four students who are all in their final year in Applied Geosciences: Amal Al Shahaibi, Amani Qasim, Ibtisam Al Kharusi and Wafa Al Ismaili received scholarships comprising the course fees and accommodation on campus. The criteria for the award of the scholarships included the students performance and their motivation in course-relevant subjects. The annual “Flügel Course” is held under the umbrella of the German Geological Society (DGGV). The course strongly supports students interested in working in the field of Carbonate Reservoir Geology and in the Limestone Industry. The Carbonate Course at the Geocenter covers all classic and modern aspects of carbonate sedimentology. Lectures by professors from several German Universities are held in English. These lectures cover different topics of carbonate microfacies in addition to exercises with so-called thin sections and sediment samples. The main focus of the course is on recent developments in carbonate sedimentology. The Geocenter of the University Erlangen-Nürnberg owns a world renowned, one-of-a-kind collection of carbonate thin-sections and sediment samples. The famous annual “Flügel Course” is named after its initiator, the late Prof. Dr. Erik Flügel, a renown palaeontologist who launched the course in 1976. Until today, 1500 geoscientists from the academia and the industry attended the course. Next month the first “Flügel Course” will be held at GUtech. 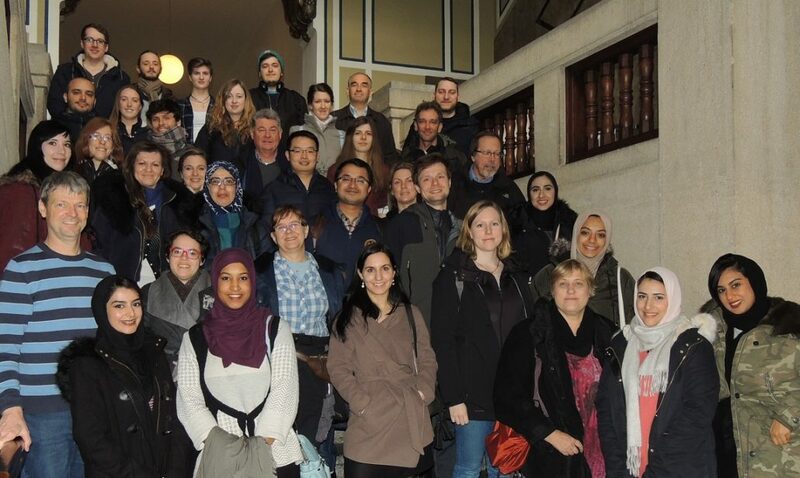 The one-week course will be open to Applied Geosciences students studying at the university.